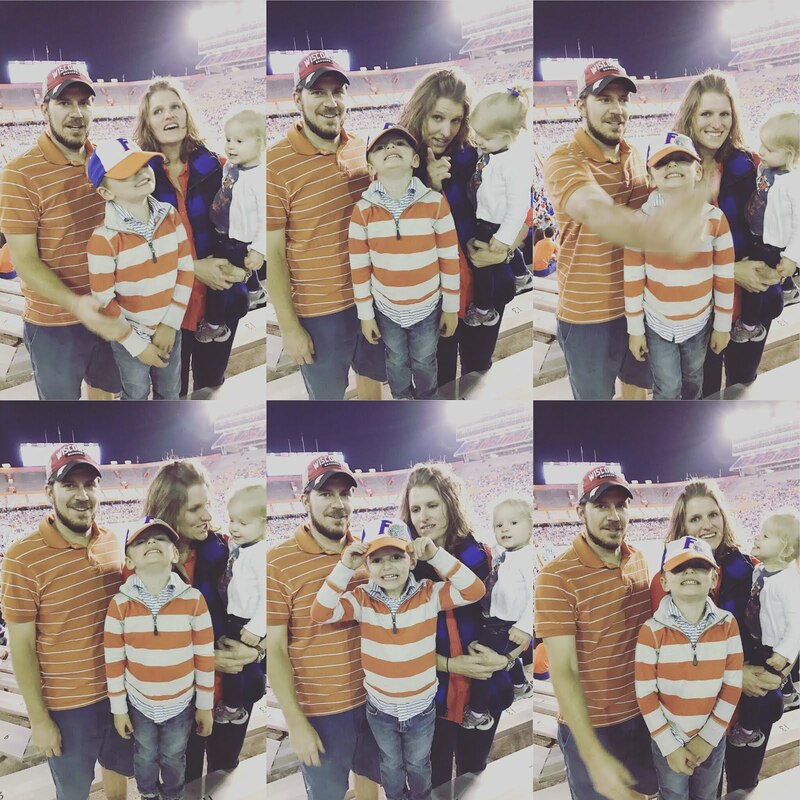 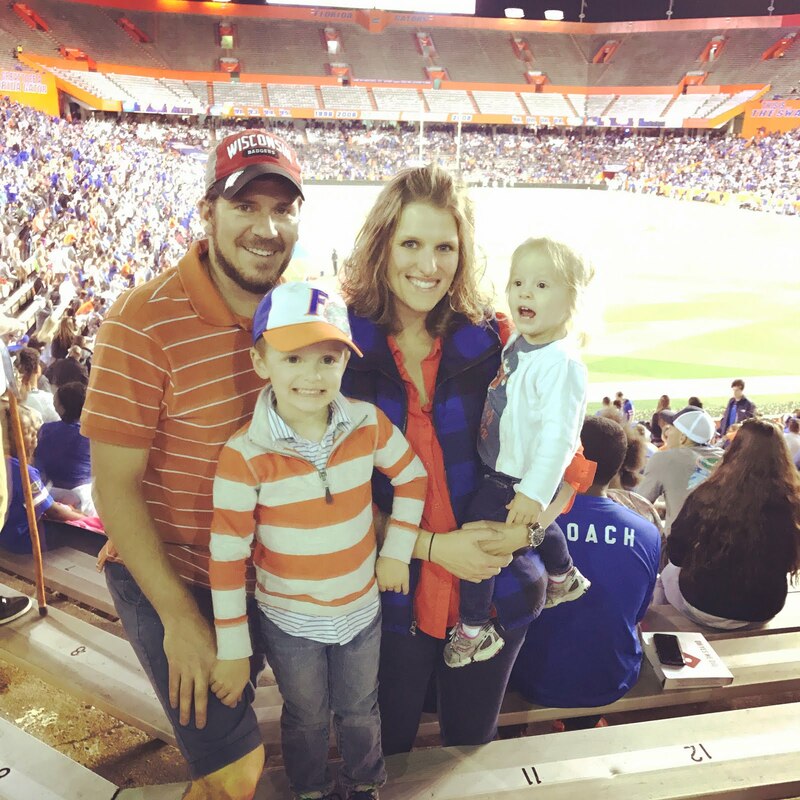 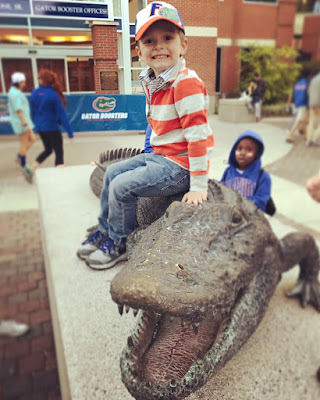 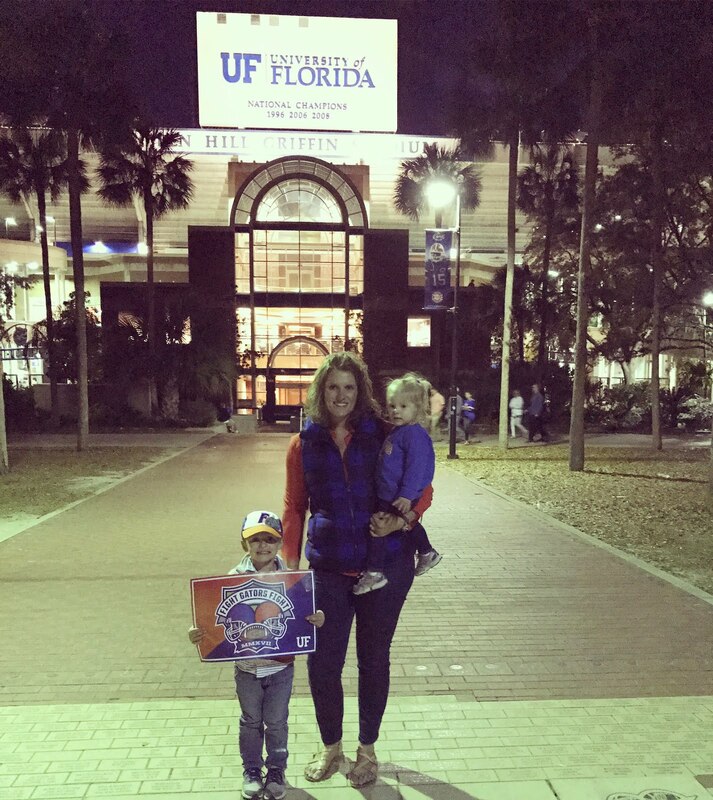 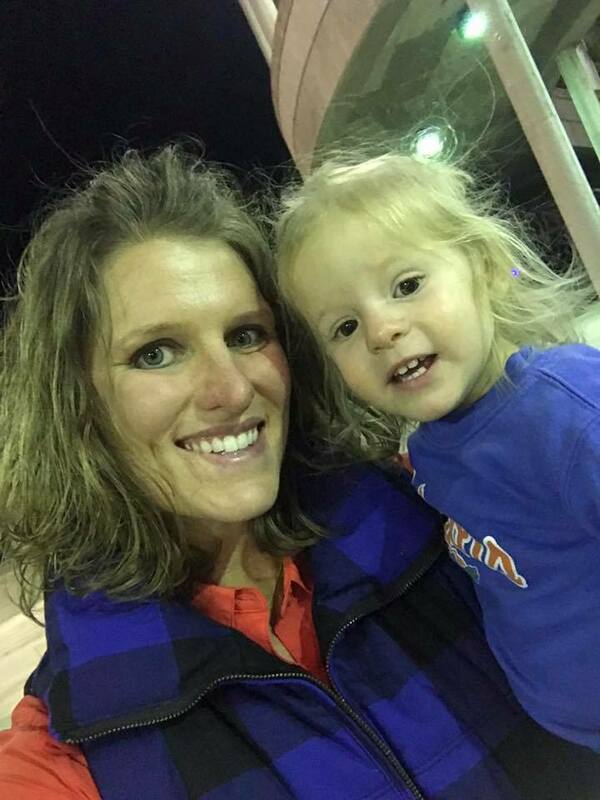 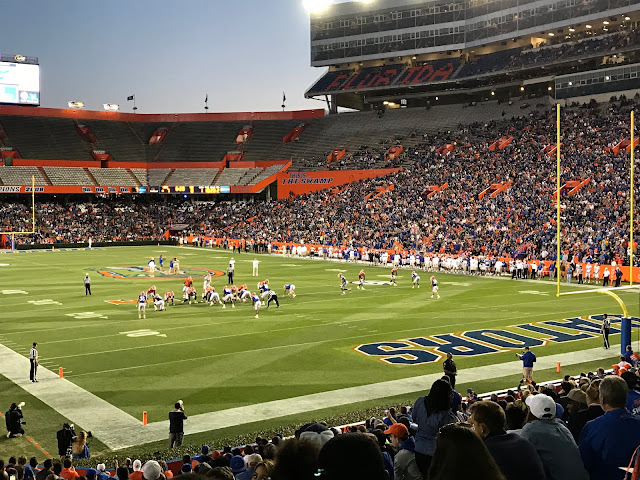 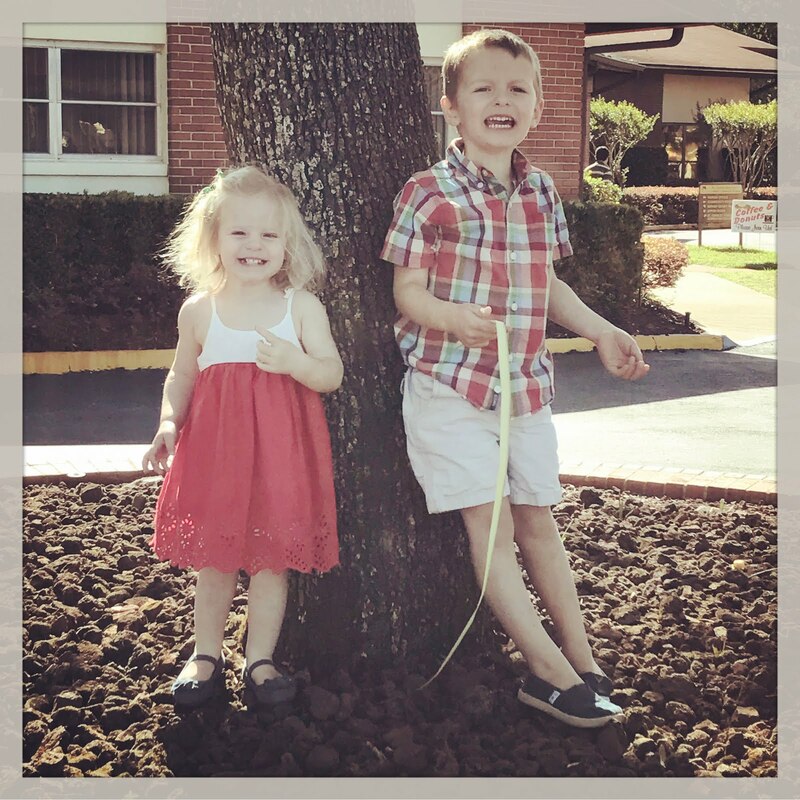 Friday, right after work, we scooped the kiddos up and headed to Gainesville for the Orange and Blue game. We went last year and had a blast. 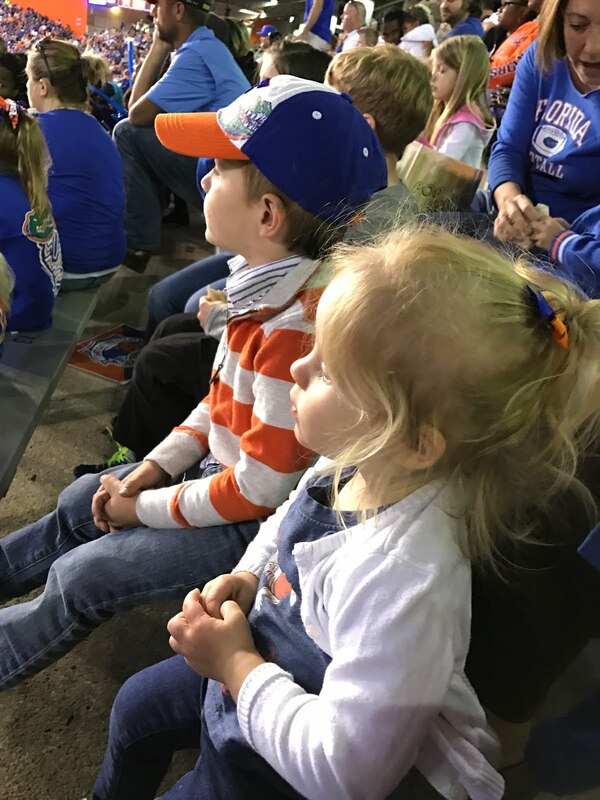 We definitely want our kiddos to grow up loving not only playing sports, but watching sports, however we would never (at this age) buy a full price ticket for them. Most collegiate scrimmage games are free and you can leave whenever you want without feeling guilty, yet they still get the "game-day experience" and get to see inside of the stadium. We were there for maybe an hour, saw Albert and Alberta, watched the cheerleaders and sang along with the band and the kiddos had a blast (Hilty mostly just liked climbing the steps). 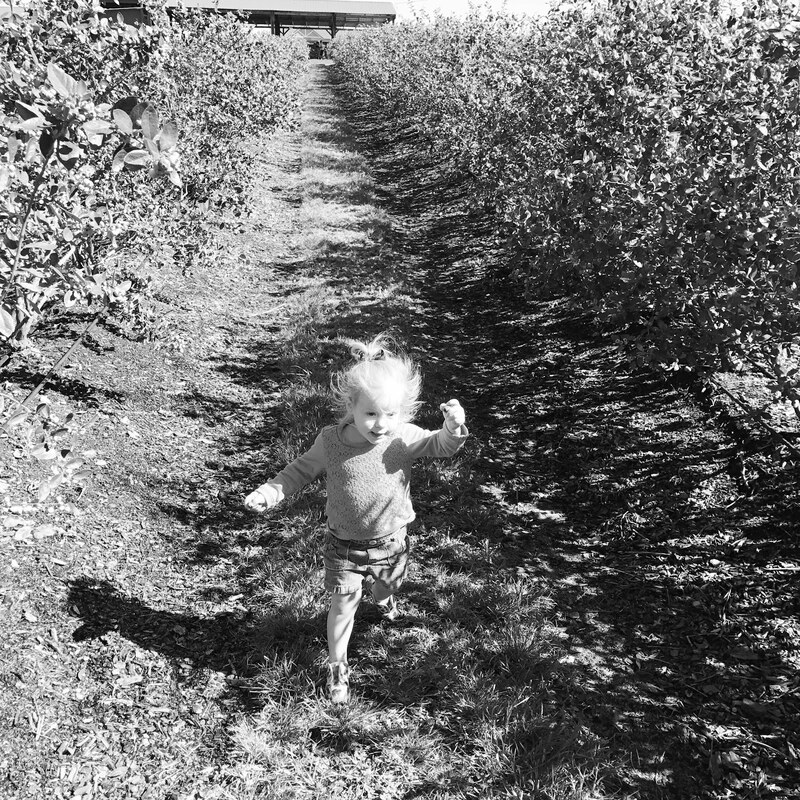 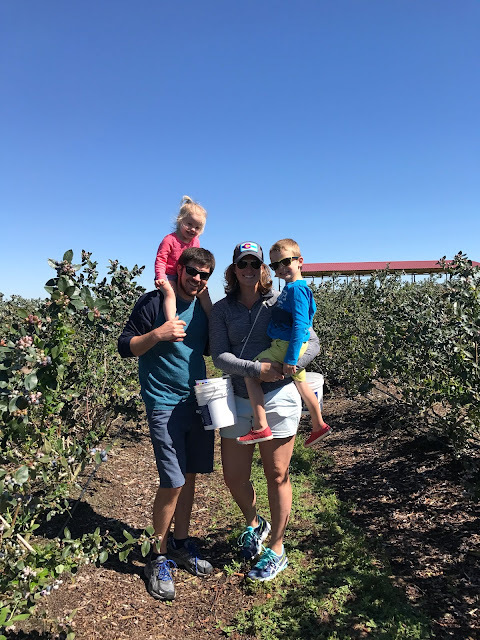 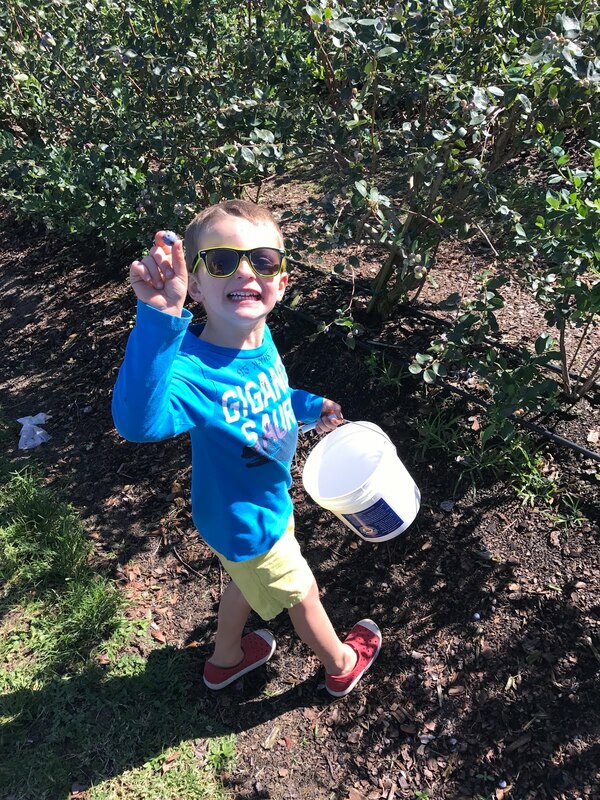 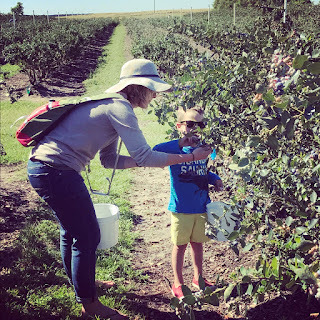 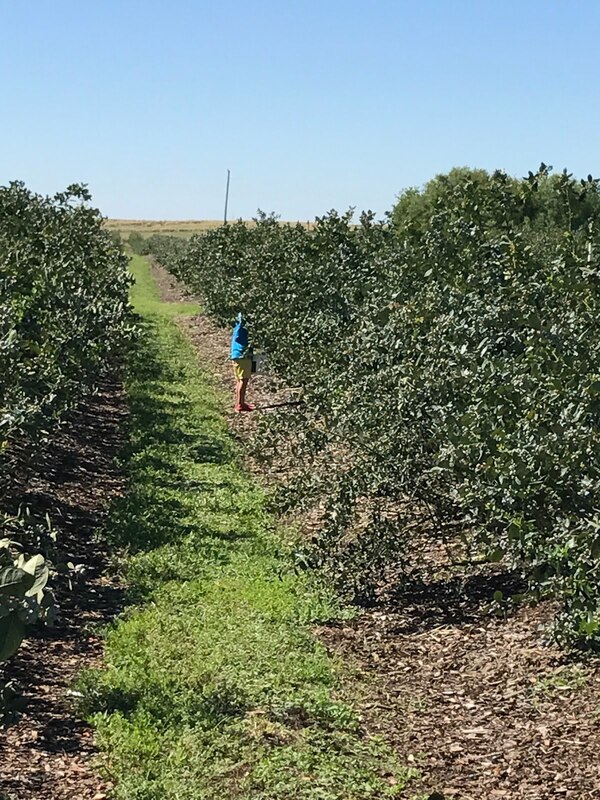 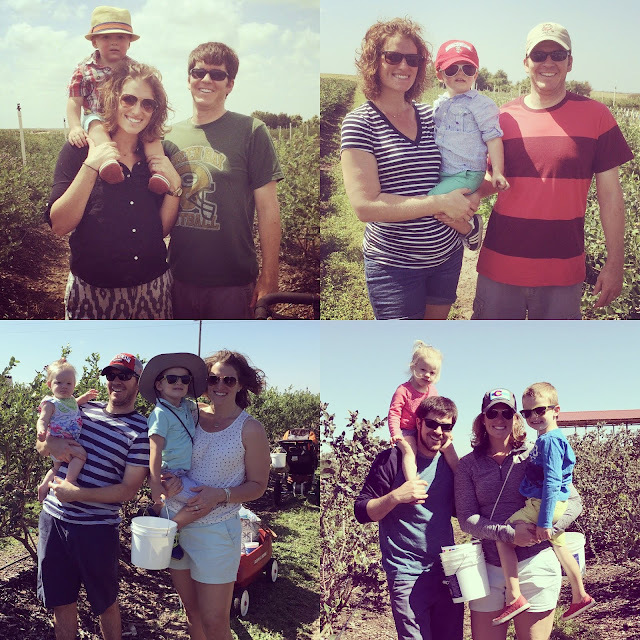 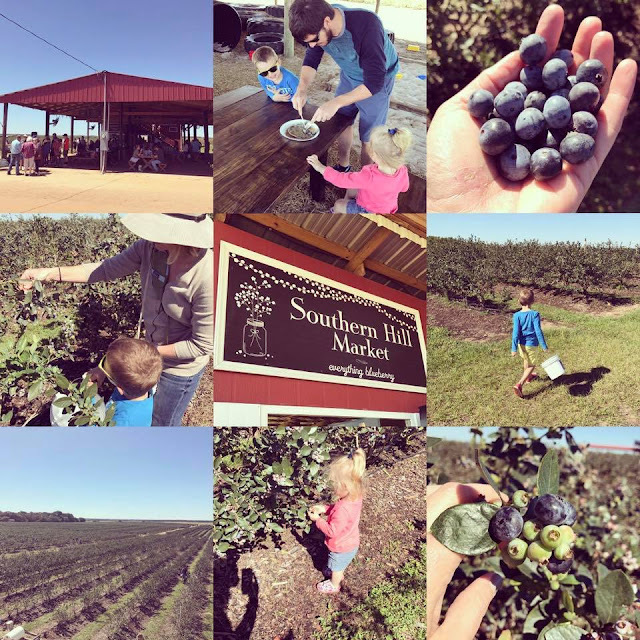 After "sleeping in", I use that term loosely with children, on Saturday morning we headed out to one of our other favorite spring time spots - Southern Hill Farms- for some blueberry picking! 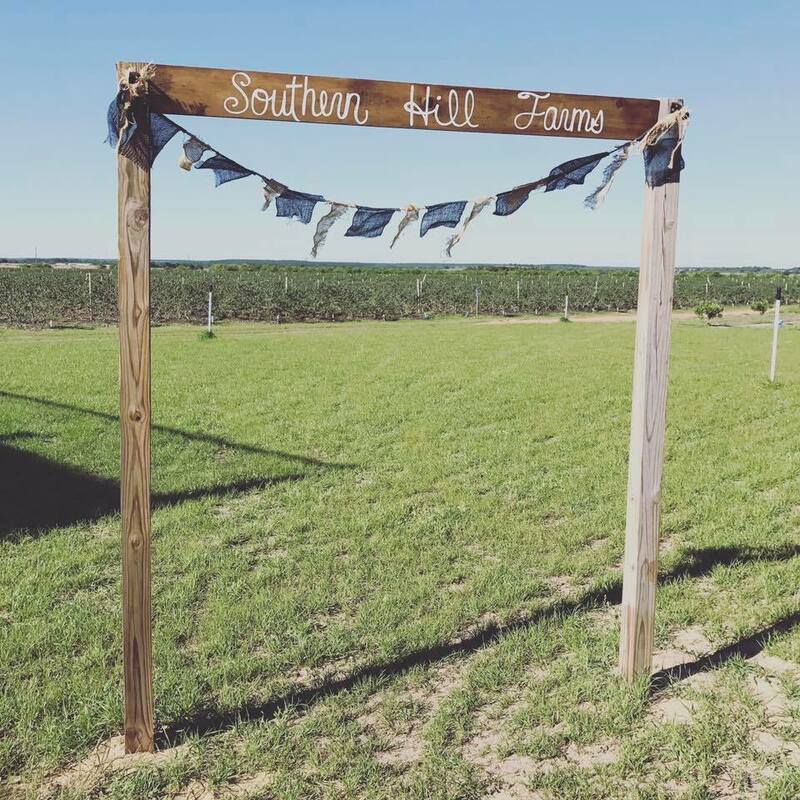 If you haven't been, go! 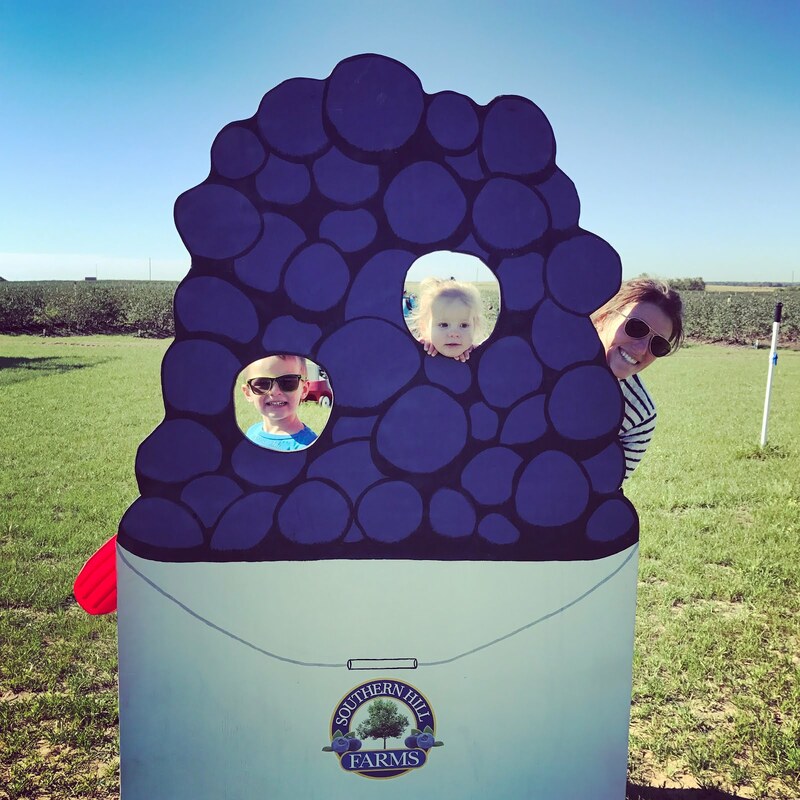 They are the nicest people on earth and have the cutest market, good prices, acres of blueberries, picturesque views, food trucks and tons of play for the kiddos. Southern Hill Farms is open most days of the week for U-pick and they even have other events as well. Check out their web page for more info! This is our fourth year in a row and we love it just as much as we did the first time. 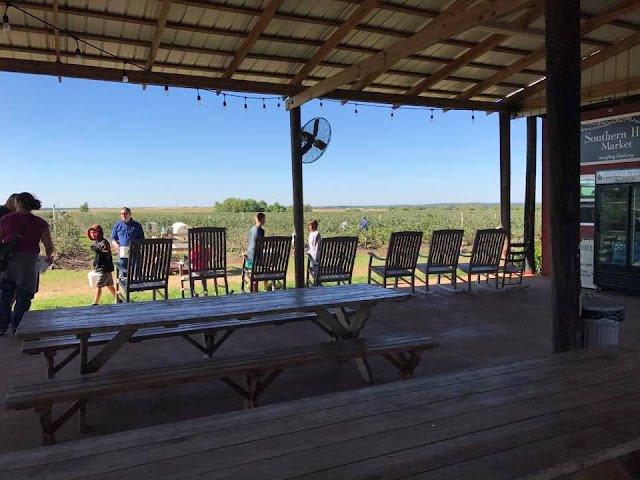 They even just built new bathrooms on site which make the experience even better! 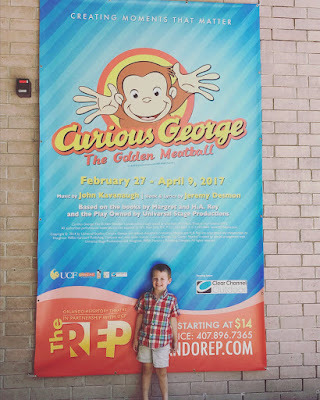 Sunday we went to Palm Sunday mass and then E and I had a date to see Curious George at the Orlando Repertory Theater. 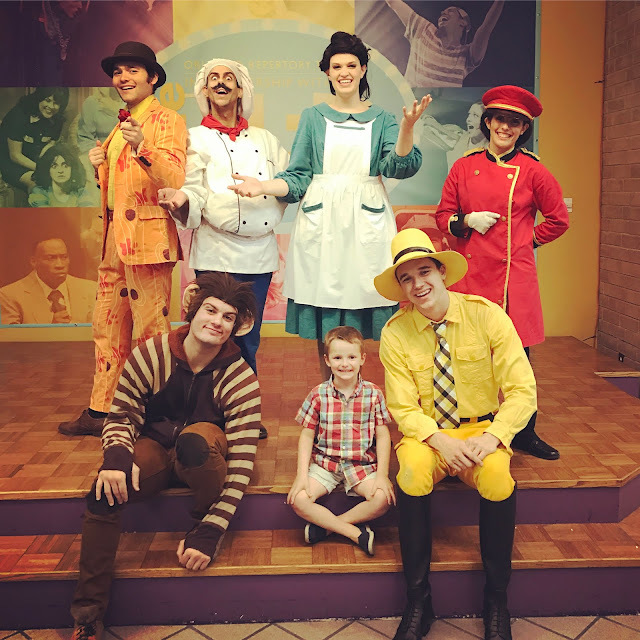 As always they did an amazing job and we enjoyed ourselves immensely. 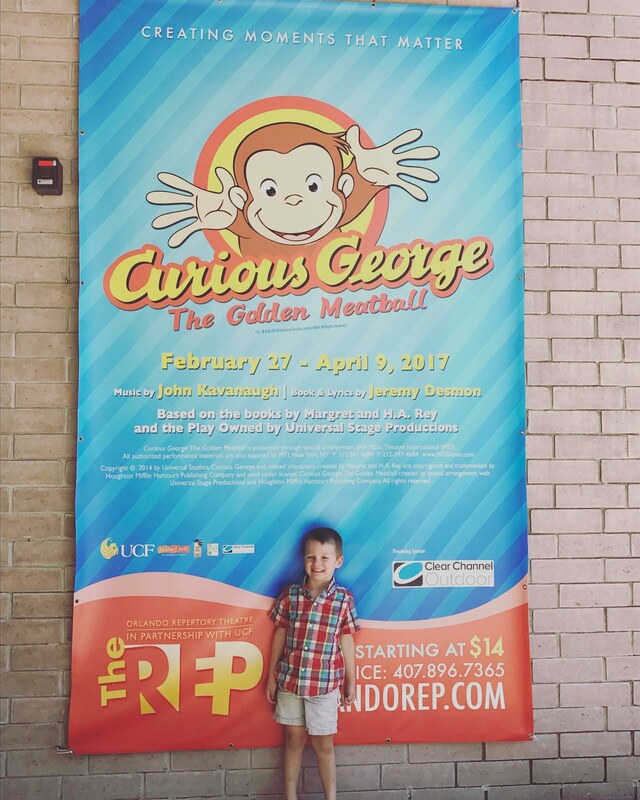 This theater is the perfect way to expose kiddos to the arts and the performances have been spot on every time. If you haven't been - check them out!